China appears set to launch a Long March rocket to loft an unknown satellite from Tiayuan, north China on Friday, while Jiuquan in the northwest will host the launch of a suborbital rocket belonging to commercial startup OneSpace. According to airspace closure notices released Thursday, the Taiyuan Satellite Launch center in Shanxi Province, north China, will see the launch of a Long March rocket to place an unknown satellite into orbit, with liftoff to take place at around 03:35 UTC (11:35 local; 23:35 EDT Thursday). 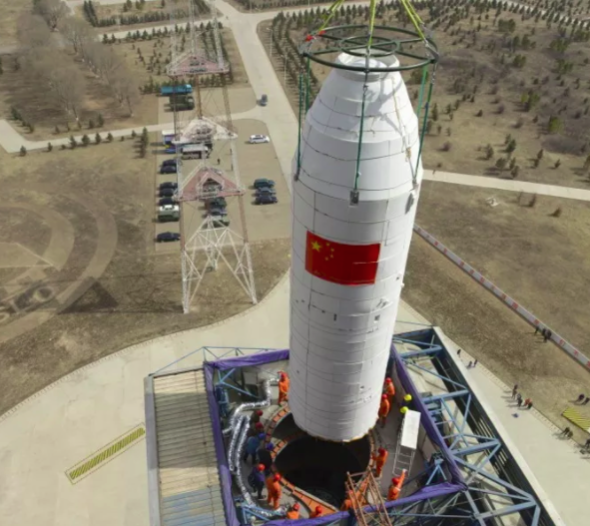 The launch vehicle could be from the Long March 2 or 4 series, and with the possibility of the first use of a new upper stage, the Yuanzheng-1B. Aerospace enthusiasts in China tracking the nation's space program suggest the mission could carry the Haiyang-1C marine observation satellite which, along with the Haiyang-2B and China-France Oceanography SATellite (CFOSAT), has been publicly stated as a mission for the second half of 2018. The launch will be China's 24th of 2018, and 284th Long March launch overall. China has already surpassed its previous national record for launches in a calendar year, 22, set in 2016, and has not suffered a launch failure since that of the second Long March 5 on July 2, 2017. Friday will also see Chinese commercial space launch company OneSpace will launch its second rocket. It was expected that the flight would mark the first private Chinese launch from a national launch center, Jiuquan, but Wednesday saw an apparent competitor, iSpace, launch its Hyperbola-1Z rocket from the same site, situated in the Gobi Desert. OneSpace will fly an OS-X1 series suborbital rocket, named Chongqing Liangjiang Star, which has a height of 10.2 m, a diameter of 0.85 m and mass at liftoff of 8.1 metric tonnes. No information on the payload is yet available. The OS-X1 rocket test team, which according to a press release consists of about 20 people with nearly half of which were born in the 1990s, is currently at Jiuquan for assembly of the rocket. 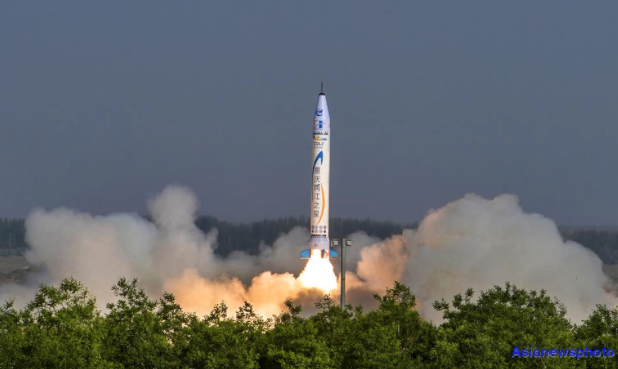 The first OneSpace launch—from a test base in northwest China and claimed to be the first launch of a privately designed Chinese rocket—took place on May 17 this year and saw the OS-X1/Chongqing Liangjiang Star fly for 265 seconds, reaching an altitude of around 40 kilometers and traveling some 273 km. 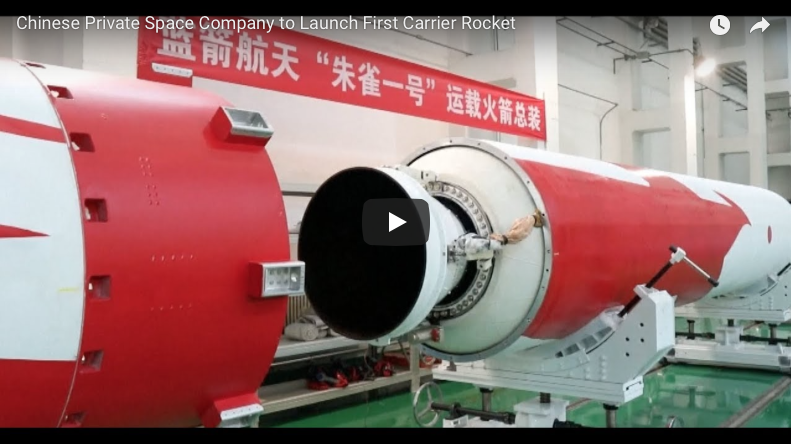 Chinese private space company Landspace to launch first carrier rocket. Another private company, Landspace, will soon attempt the first private orbital launch.The Zhuque-1 three-stage rocket is expected to launch in the final quarter of 2018, with liftoff now looking likely to take place in October, carrying the Future (Weilai-1) satellite for China Central Television (CCTV). Expace, a subsidiary of state-owned missile-maker CASIC, will also this month employ its 20-meter-tall, 1.4-meter-diameter Kuaizhou-1A solid-fuelled rocket to launch the Centispace-1-S1 satellite, marking the second launch for the missile-derived launch vehicle, which debuted in January 2017.